Teachers, what do your students really want for the holidays? Many times, all they want is time with their families. This holiday season, ReadyRosie wants to support you as you support your students’ families. We created this Holiday Learning flyer in English and Spanish for you to print and send home to your families over the holiday break. The time your students spend learning, talking, and playing with their families creates enduring memories. As educators, we know that these bonding moments build confidence, resilience, and a depth of background knowledge and higher-level thinking that extend into the academic areas you are working so hard to teach! This flyer serves as a physical reminder to log in to ReadyRosie’s Holiday Playlist page where families will see playlists of suggested videos for all ages to enjoy spending time together. 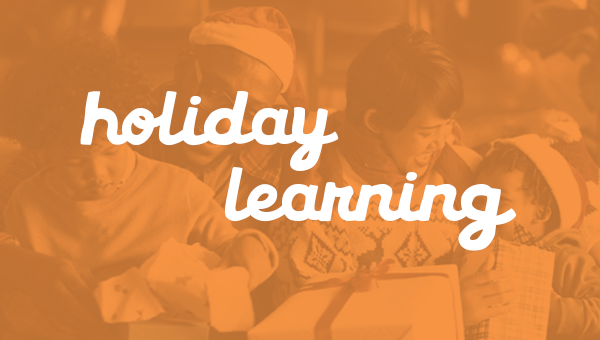 Create a custom playlist that highlights other favorite activities to support these holiday learning ideas or just copy one of ours! In your playlist, be sure to include a warm holiday message to your families. Your students and their families would love to hear about one of your favorite family traditions and the playlist message space is a perfect place to make that meaningful personal connection! We would love to hear from you about how you plan to encourage holiday home learning this year with your families. Send us a short video selfie with your ideas to cgrover@readyrosie.com. We will send some fun ReadyRosie swag to the first five teachers we hear from!